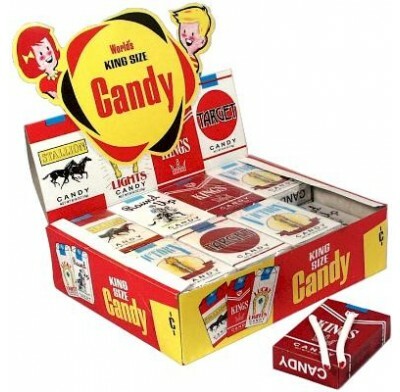 Candy Cigarettes bring back memories of the good old days as you roll these classic candy cigarette packs in your shirt sleeve! Substitute the real thing for these sweet treats and do yourself a favor! 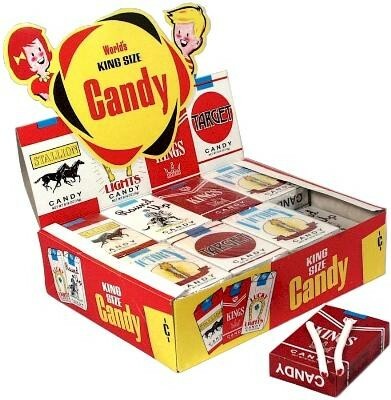 Boxed candy comes 24 packs per box.